When MINI/Mini Cooper owners need auto repair, they turn to the team of auto mechanics at Midwest Autoworx. With two locations in Boonville and Columbia, Midwest Autoworx is the trusted source for any and all auto repair. Our team genuinely cares for the safety and driveability of your MINI, which is why we go that extra mile when you bring your car into our shop. When you arrive at either of our auto repair shops in Boonville and Columbia, our auto mechanics will perform a complimentary 33 point inspection on your MINI/Mini Cooper. After the examination, we will go over the results, even taking you out to the shop to show you the “what, why, and how.” To make sure you completely understand the condition of your MINI, we will even show you the damaged or worn parts. While our auto mechanics are servicing your MINI, we encourage you to utilize our shuttle service, loaner vehicles, or walking trail next to our facility Our waiting room is also stocked with gourmet coffee, WiFi, and comfy seating. At both auto repair shops in Boonville and Columbia, we are relied upon to fix the toughest of problems on the most finickiest of cars. From Toyota to Mercedes-Benz, we can quickly and accurately repair your vehicle, and we back all service with a three-year/36,000-mile warranty. At Midwest Autoworx, we don’t just want you in and out and on your way. We intend to be your go-to auto repair shop for as long as your vehicle is on the road in Boonville and Columbia, and with us on your side, we think that will be for quite a long time. 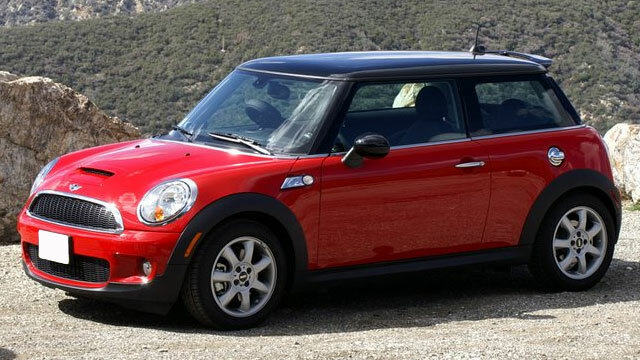 Our auto mechanics can service and repair all makes and models of vehicles, and your MINI/Mini Cooper is no different. We are located at 2001 Rangeline Street in Columbia, MO 65202 and 1300 W. Ashley Road in Boonville, MO 65233. Call Midwest Autoworx to learn more about service for your MINI/Mini Cooper or schedule an appointment online.